In 1890’s H.G. Wells famously takes a “science fiction” approach to time travel by building a machine that can move freely through time as a dimension. It was made of clockwork — mechanical gears and such. Gears can perform ordinary motion in precise ways, but nothing about that enables doing something that normal motion doesn't. Later treatments use whatever the technology of the day may be: electronics and then cybernetics. But again, that’s completely implausible, since electomagnetism experiences time in the normal way just as gears do, and calculating fast is supposed to do what exactly? Now, we really do know about some “hard” S-F approaches, but these require giga-scale engineering and exotic ingrediants like negative energy. I'm not talking about the projects of a K-Ⅲ civilization, though, or even a national scale project like a major particle accelerator. I'm wondering how a small scale effort, like a mad scientist or university professor, could (more) plausibly build a time machine. To clarify, he uses the machine to go back in time. (Forward is easy!) The setting is “near future” (like 15 years or so). You have to consider why it hasn't been done already if it’s doable using ordinary stuff involving current technology. Technology based on new principles only just becoming available must have some plausible reason for allowing time travel, and not just be something new and mysterious. I won’t rule out distinguished artifacts per se, but I want the solution to be something that anyone could have done — finding the crashed UFO in your own basement is simply cheating. The science-based explicitly rules out pseudoscience, but we allow generous handwaving. This kind of handwaving, done well, is exactly what would make for “plausible” storytelling. Specifically, the movie Primer was delightful in using an effect that I'd read about, which provides for interaction between gravity and electromagnetism via a superconductor. This was in New Scientist, and the theory is crazy pseudoscience. For someone who hasn’t looked into it, though, it comes across as plausible if you don’t push the details. Note that I'm definitly allowing for invented physics beyond what we know. It just has to be “plausible”, and is best if it’s something we’re expecting like string theory ref. If you want a "realistic" time travel "anyone" could plausibly do, you will have to look at the gaps in modern physics. New Scientist magazine (out of the UK) recently listed 11 things modern physics cannot explain; including the inflation necessary for a Big Bang, particle entanglement, how the force of gravity is conveyed, whether black holes exist (as a point-like gravitational source), dark matter, dark energy, zero-point energy (or alternatively why it is a hundred orders of magnitude smaller than theory demands), etc. Perhaps most importantly, Einsteinian General Relativity and Quantum Theory are irrevocably irreconcilable; they cannot both be correct. the super-majority of physicists have their money on Quantum theory, and assume Einstein's use of infinities is a fudge. We definitely know from quantum dynamics and experiments within that position is uncertain; in fact tunnelling transistors are tech based on that very phenomenon. There really is a quantum foam, etc. GR does not reflect reality at any extreme: There are black holes, but they do not collapse to an infinitely small point, because those do not really exist! Remember science fiction is fiction so you need somebody investigating one of these unknowns to find a property of it (something you invent) they can manipulate to send something back in time, either information or something physical like a person. Note that if time travel is possible; it means that all times exist simultaneously throughout the universe. If Loop theory is correct and there is no infinitely small sub-division of space or time, then there is a quantum of time, too; a smallest possible 'duration'. So the answer is, for realism, pick something current science does not explain, invent a solution to that problem that demands time travel, and then discover a way to exploit that to allow your scientist to time travel. Tools: Your protagonist (antagonist?) has access to (builds?) the following: 2 Wakefeild Plasma Accelerators, 2 Storage Rigs, a whole bunch of power, access to LIGO, tons and tons of shielding (literally), and a "lets turn up the power attitude" and/or reckless graduate student. Procedure: The Wakefield accelerators are arranged in a track field shaped configuration, pointing in opposite directions in what would be the straightaways. The storage rings make up the curved ends of the track, with one of them modified to allow for firing at a target on some path tangent to the curve; that just happens (intentionally?) to be pointed at a facility with a cosmic ray detector. It could be hundreds of kilometers away, and let's keep the population density in the intervening distance low. One of the wakefield accelerators is primed and fired into one of the storage rings that catches the accelerated particles and stores them. After some adjustment, the particles are injected into the second wakefield accelerator and then recaptured with significantly higher energy. This process is repeated over and over again. 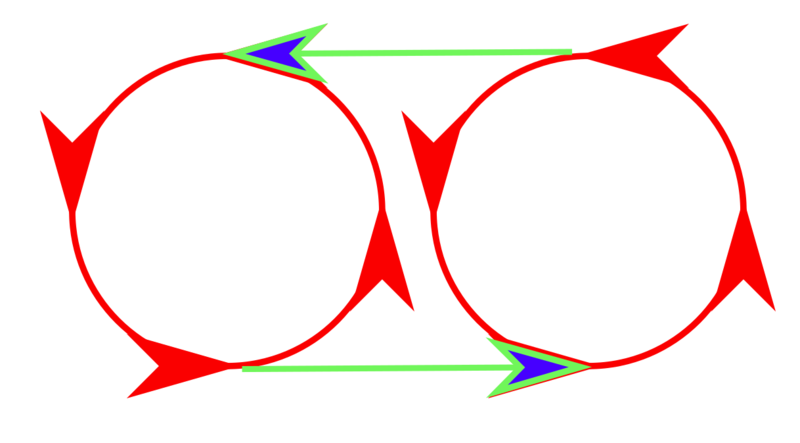 Storage rings in red, accelerators in green, arrows denot direction of movement. As the process continues there is more and more time between shots for the system to cool, and the magnetic fields built up to accept higher and higher energy particles. At this point the particles aren't getting faster they are getting heavier and it's harder to contain them. The Efficiency of the system is also being affected but you are keeping track of it though heat loss and the careful measurement of particles in the storage rings. After surpassing the energy that the LHC operates at (Cern should have hired me!) by several orders of magnitude and approaching the energy of the Oh My God Particle something strange begins to happen. The energy added the particles after each firing begins to drop off, no longer following the steady exponential decreases due to efficiency losses. After checking and re-checking the losses due to radiation and heat don't account for the discrepancy. Also, your particles in the storage rings are somehow losing energy, at least more than can be accounted for by losses in the system. Your scientist (probably mad scientist at this point) continues to add energy to the particles, surpassing even the highest energy cosmic rays. Now it gets weird. After a trip through the accelerator, the particles gained no more energy. In fact, the measurements indicate that there are now fewer particles all with much less energy. After careful review of data, there is no known way to account for the loss of energy and mass. The particles are once again accelerated, and this time fired into the target. The blast of radiation is enormous, lethal to anyone that is not hiding being meters of lead. 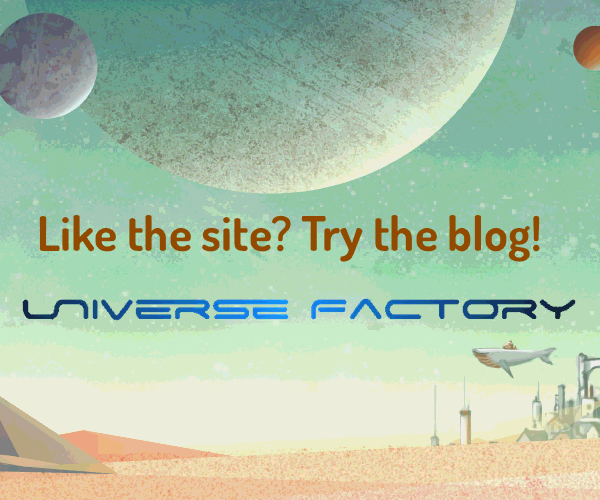 Exotic particles, antimatter, you name it, are detected. Your local cosmic ray detector registers an interesting event. Scientists at LIGO register an anomaly that they can't explain. So great was the energy of the reaction that it had begun interacting with quantum foam. At this scale, the particles had excited extra dimensions that have been compacted, one of the implications of string theory being true. For some reason, the energy required to expand this compact dimension had been low nad decreased as it expanded. This resulted in baseball sized metastable space-time anomaly that was really a gateway into a higher dimension, one where time is a location. With some more handwaving, the scientist figures out how to use it to travel between two points in time. Warning: I'm well aware this is a bunch of hand-waving, Don't judge me. This may also create a new universe. Only science-based way to time-travel is repurposing FTL-capable spaceship. Simply because FTL = Time travel. So in your story, you make FTL-capable spaceships and hand-wave why they cannot be used for time travel. And then, your (mad) scientist only needs to solve this single problem. There's some research to suggest that superconductors would reflect gravity waves (not gravity itself, but waves in the structure of space-time). A gravity wave resonating chamber made with superconducting walls might be sciency enough to pass muster. Consider using the resonating chamber to sustain a very large amplitude standing gravity wave. If the energy densities are high enough, you might be able to plausibly justify new physics happening in that region. Maybe new physics with a time travel application. If you want to go extra crazy with this idea, have two resonating chambers and have them set up to create space-time vortex ring. If two space-time vortex rings (one ring from each chamber) then collide, we could expect extra cool sciency things to happen in the region where they collided. Slightly related, I just went to a talk where a physicist name Dr. Thompson discussed plasma vortex rings colliding in the middle of an experiment in order to produce a nice rotating plasma. I beleive that artifical gravity generators might bend spacetime enough to allow circling back, assuming you are in a capsule that eliminates the gravity's pull on you over 1g. However, I am unsure if this would require a finite or infinite gravity pull. I also read that wormholes might allow time travel, which makes sense because they work with spaceTIME. The stresses would be significant though, so survival would be unlikely. Making a machine more human by making it race-condition prone. Is it enough?